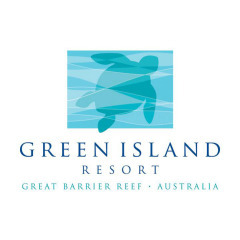 Green Island Resort is a luxury, 46 room eco-sensitive resort on the Great Barrier Reef, situated just 27km across the Coral Sea from Cairns. The resort and Great Adventures island operations were acquired by the Quicksilver Group in 2005 after the successful purchase from Daikyo. A lot of planning went into making Green Island Resort one of the world’s most eco-sensitive sanctuarys. All resort building and infrastructure (e.g. boardwalks) were built with minimal vegetation clearing. No building extrudes above the tree canopy, therefore preserving the natural appearance of the island from the water, shoreline and air. The Resort uses its own desalination plant in order to preserve the limited natural underground fresh water. Green Island Resort has been awarded Advanced Ecotourism Certification for preservation and commitment to the island’s rainforest and reef surrounds, and the management of this world class eco-sensitive resort. The Resort has been honored with numerous awards including, Australia’s Clean Beach Challenge, and Resource Conservation and Waste Management Awards.